選擇後按O.K, 寫入檔案名稱按存檔, 當去到 100%時, 已成功存檔. Smart Card 內有2個遊戲時, 第2個遊戲才使用Page 2的. 在Flash Memory Saver Selected 按OK鍵, 再輸入檔案名稱即可. Saver Selected] 或 [Flash Memory Saver Selected]. 64K], [Page 2 64K] 祗在2合1的第2個遊戲才可使用. 1. 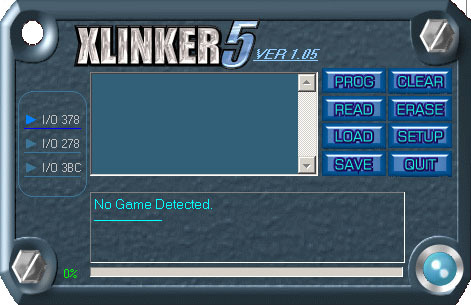 Run “xlinker.exe” program, on the right top corner of the xlinker screen is “PROG” which transfers selected GBA files (*.GBA) downloaded from the PC to the GBA smart card, a horizontal bar will appear, this bar indicates the transferring of the file from left to right increasing for 0%-100%. When it reaches 100%; the game name will appear below. This also means that it has finished transferring. 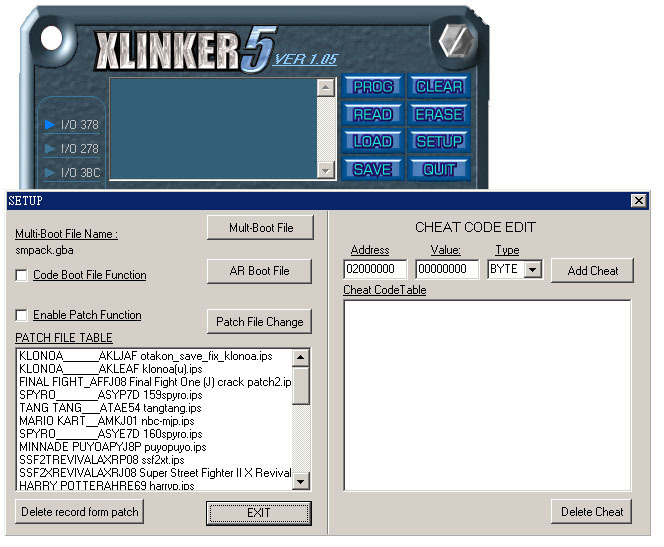 Plug the cartridge into the GB Transferer II, run xlinker, click “READ” then choose the capacity 8M-64M, after selection press O.K., input the document name and save. Upon reaching 100%, the file have successfully been saved. **warning: the many in one program cannot backup. Open “LOAD” above the icon (Update Smart Card From PC), when choosing one game, use Normal Class Page 1, then press O.K. and finally input the file name. If the smart card contains 2 games, use page 2 for the second game. Special Class is especially made for particular programs and games. Usually normal games need not use this. In Flash Memory Saver Selected press OK button, then input file name. In GBA Smart Card it is divided into Sram Saver and Flash Saver. On the Smart Card there is a switch for choosing F & S, F=Flash Saver; S=Sram Saver, (when downloading game, you will be asked what saver to use for save). 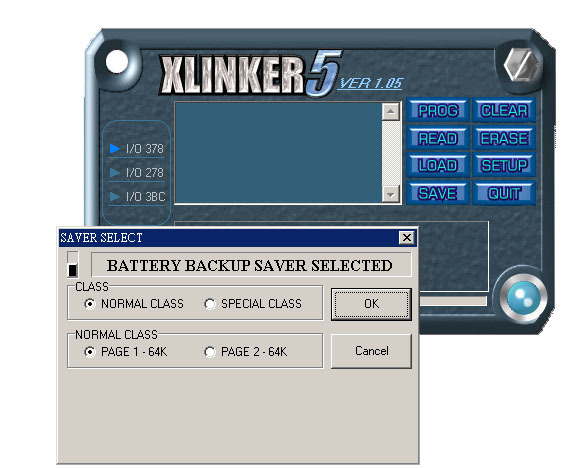 In Xlinker press “SAVE” (Backup Smart Card Saver to PC) Icon, a choice screen will appear, on the left top corner there is a choice button, choose (Battery Backup Saver Selected) or (Flash Memory Saver Selected). 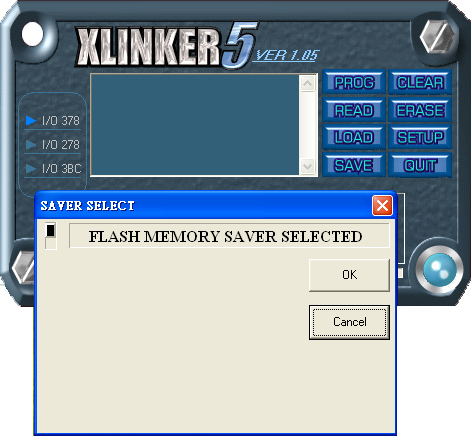 Choosing Flash Saver, press (Flash memory Selected) then click on O.K. Choosing Sram Saver, press (Battery backup Saver Selected), here you will find many choices. Ordinary games use Normal Class; Normal Class consists of 2 areas; (Page 1 64K) & (Page 2 64K) to choose from. Using single games, click on (Page 1 64K), smart cards containing 2 games, (page 2 64K) is for the second game. Special Class is divided into 4 pages and 2 sizes. In other words: 1 game ordinarily uses 32K Saver. That means the Smart Card can save 4 32K savers, however, there aren’t any 8M-16M games. This method is for particularly special games and programs. 6. Press ”Erase” to rapidly delete the data in the Smart Card. 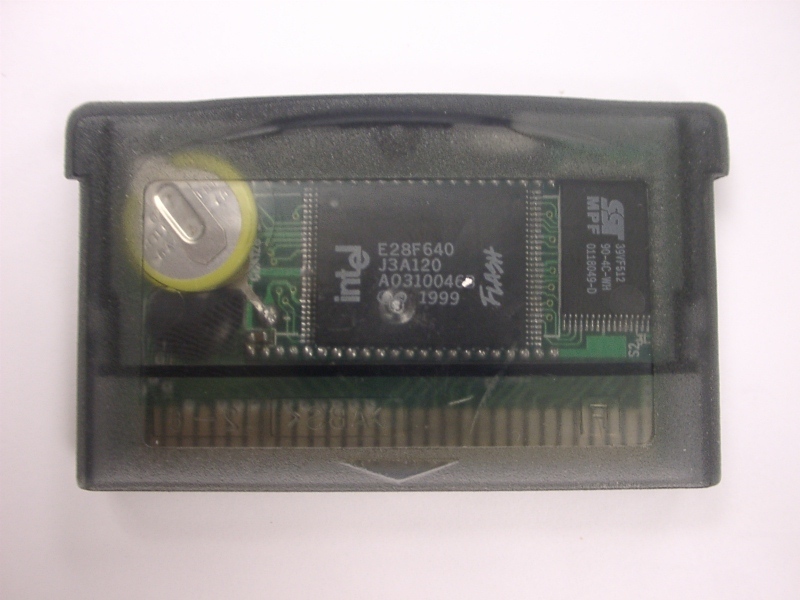 9.I just bought two GBA 64M Smart Cards, but on the user guide you talk about ips files and patches. I would like to know what these are and what they do. Those files are for patching the EEP saver type Rom file to battery saver type.